In the recent past, we have seen mobile OS announcements on version upgrades/updates from Apple, Google and Microsoft. …and today, June 27, 2012, Google announced Jelly Bean (Android 4.1). All these OS have new features – some which will be considered innovative and others incremental improvements. The similarities in Passbook and Wallet Hub are stunning and since both are yet to be released, we will have to wait and see which is more elegant and provides ease of use. 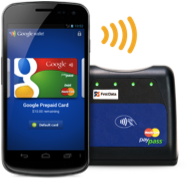 While all 3 can take advantage of technology like Near Field Communications (NFC), Google Wallet seems to be more aligned to it and is banking on new payment peripherals at retailers. Microsoft and Apple are hoping to leverage updated barcode scanners, which can read smartphone screens. A lot of retailers are already deploying these scanners. As an example, Starbucks has already deployed smartphone apps to manage their loyalty card; well it is more than just a loyalty card – it is a mobile wallet that supports Starbucks as a retailer. Users can “load” their Starbucks card into their phone and the app takes care of account management, payments, loyalty points and promotions. The app has been hugely successful and since Starbucks was unwilling to wait for NFC to mature, it has created a new standard of sorts for mobile barcode integration. Starbucks may be considered a leader here, other retailers who are still contemplating deploying mobile apps (or upgrades to existing ones) may be able to save time and money by leveraging features like Passbook and Wallet Hub and integrating them into their mobile apps. iOS 6 will bring functionality that has been already present to a large extent on the Windows Phone platform. Once your Facebook account credentials are made available to the OS, default OS applications like Calendar, Contacts and activity feeds will be seamlessly integrated. Windows Phone takes a different route to social media integration. The “Emails and Accounts” menu under Settings of the Windows Phone allows you to specify account details for Facebook, LinkedIn, Twitter and Windows Live in addition to your Exchange, POP or Google Mail. Once these accounts are set up, a swipe to the right in the People Hub (aka Contacts) will provide a news-feed which allows for viewing “What’s new” in all accounts or can be filtered by Facebook, LinkedIn, Twitter etc. Additionally, upon selecting a particular person (contact), a user can view updates, pictures, posts, tweets and their own interaction (phonecalls, emails, sms messages) with that person. 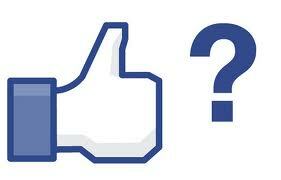 Good news from a users’ perspective but bad for Facebook because it loses the opportunity to present ads. 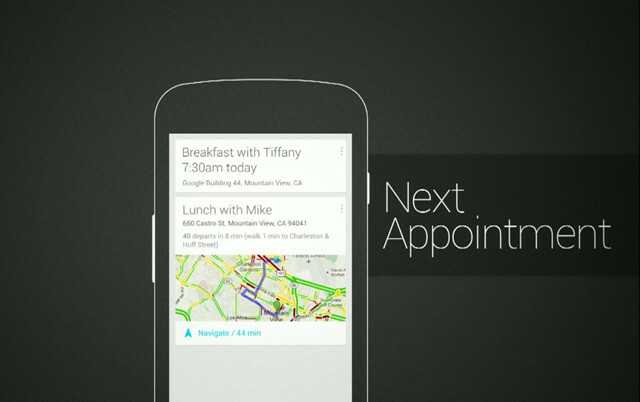 Google NOW is going to be a feature in the new Android 4.1 OS dubbed Jellybean. This feature gathers information from the phone and users’ previous behavior related to search, calendar, travel plans, likes and dislikes. An example provided is a user’s commute pattern – any possible disruption to it would be highlighted in a “card” – such cards can be resident and updated live on the home screen. Windows Phone Live Tiles work in a similar manner but rely on the underlying app to support the ‘update’ aspect. For example, a user can have an American Airlines app pinned to their home screen. Based on the travel schedule, this ‘tile’ will have flight information like Terminal, Gate, or delay in departure or arrival of the flight. With these enhancements, the OS platforms will continue to become more real time and integrated to provide everyday features for users. I don’t think the app marketplaces will see any downturn in the near future but apps will provide a rich integration APIs to ‘blend in’ with the OS. As far as ad related revenue, there may be a shift coming in how these apps promote products and services.